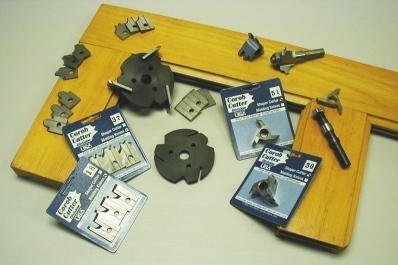 Check out www.corobcutters.com for some great woodworking products. They have molding knives that when attached to a molding head can make custom moldings. They also sell shaper cutters for routers and radial arm saws. Get all the capabilities of a large millwright shop at a fraction of the cost. Great website and quality products that I swear by for any custom woodoworking project I am working on. A set of 3 knives or shapers is $15.99. ""Please note: This is for sale or trade by owner only, no retailers, wholesalers, or dealers allowed.""